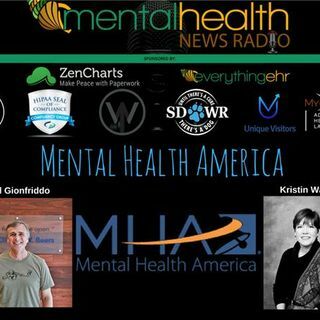 Paul Gionfriddo was named President and CEO of Mental Health America on May 1, 2014. He has worked in a variety of health and mental-health related positions during a career spanning over thirty years. In 2013, he was appointed by HHS Secretary Kathleen Sebelius to a four-year term on the 12-member National Advisory Council to the SAMHSA Center for Mental Health Services. Prior to joining MHA, he was a consultant, speaker, and writer, and author of a popular weekly health policy blog ... Más informaciones entitled Our Health Policy Matters. His essay entitled How I Helped Create a Flawed Mental Health System That’s Failed Millions – And My Son, was published as the Narrative Matters essay (and was the most-read article) in the September 2012 issue of Health Affairs and was also published in the Washington Post in October 2012. The full-length version of the story was published as a book, entitled Losing Tim: How Our Health and Education Systems Failed My Son with Schizophrenia. He is a graduate of Wesleyan University. He lives with his wife, Pam, who is CEO of the Mental Health Association of Palm Beach County, in Lake Worth, Florida. They have five adult children and two grandchildren.